This week we learnt that the wealth of the top ten richest couples in the country has gone up by £3.4bn ahead of the publication of the Rich List this weekend. This isn’t a coincidence. It’s a long term trend. Their total wealth more than doubled from 2005 from 2015 – the period where the rest of us were threatened with financial collapse. Now I do not mind if people do well provided they work hard, have talent and play by the rules. But the rules of the game have been rigged against the millions and in favour of the millionaires. So whilst 10 couples saw a massive increase in their wealth in recent years the rest of the population have faced cutbacks, wage stagnation and rising prices. Conservatives have come up with a ridiculous theory to justify the way they look after the richest in our country. They say that the money of the wealthy “trickles down” to the rest of the people. But I have never seen a shred of evidence of this theory. Wealth doesn’t trickle down from rich to poor. It is hoovered up by the rich from the poor – and from middle income earners also. When things are going badly, it’s working people who pay the price. But when things are going well, it’s the richest who benefit. Compare two different 26-year olds, for example. I’ve only met one of them – a woman who lives close by. She worked as an assistant in psychiatric care. That work is hard and thankless. She deserves huge praise for what she has done. She wanted to train as a nurse to do this for the rest of her life. She signed up to study, but then for health reasons had to defer for a year. In that year, the Tories removed the financial assistance for student nurses. So now she can’t afford to train. She’s a bright young woman, who could have served her community, but now won’t have a chance. A different 26-year old. A certain Duke. He is one of the richest Brits on the Sunday Times’ 1000 list. Last year, he inherited £9bn. He inherited it largely tax free, because they know how to exploit legal loopholes and keep money in trusts. His family owns huge amounts of land in central London. Perhaps it would be less irritating if some of the wealth of the country was created by families that work hard, helping our economy by making things or providing services. But their growing wealth is largely gained by the increase in the value of property which they earn. How is this fair? Why does my constituent is finding it hard to get on in life chances while others have a charmed existence just because they know how to play the game? It’s clear the British Establishment use the rules to their own advantage and when the Conservatives are in power they do everything to keep things that way. Labour is determined to break open this system. To build a new kind of government. One which works for the many and not just the few. 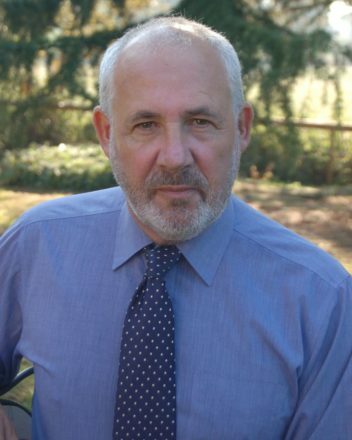 Jon Trickett is Labour’s candidate for Hemsworth and shadow minister for the Cabinet Office.